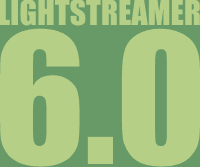 We are extremely excited to announce that Lightstreamer 6.0 is now publicly available. Many new features and improvements have been included in this release. Here is a very quick summary of what's new. Recently, some folks asked on our forum for some advice on how to properly create a Lightstreamer client based on the Python language. An official release of a Lightstreamer Python client is not available yet, so it seems a good moment to show an example of a simple client application written in this wonderful language. The proposed script provides a very simple version of the well known Stock-List demo. In this new adaption, soon after submitting a single subscription to a set of items with related fields, the real-time data coming from the server are displayed on the console until the user hits the CR key.